Second Avenue Learning is this year’s finalist in the Best Business Developed Serious Game category of the Serious Games Showcase & Challenge with Martha Madison. Created with teachers and students, and aligned with standards, the Martha Madison game-based curriculum has had research at its core from the very beginning. Funded by the National Science Foundation, Martha Madison was designed to address students’ lagging interest and performance in STEM. 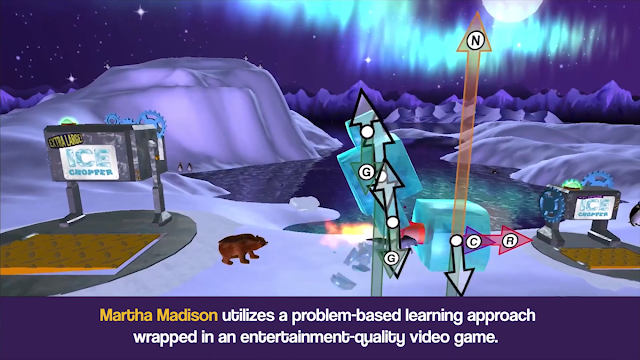 The game utilizes a problem-based learning approach wrapped in an entertainment-quality video game, with each game mechanic aligning with specific learning objectives and Next Generation Science Standards. Research findings have demonstrated that Martha Madison is an effective and exciting approach to science education for students of both genders and across all socioeconomic groups. The game modules include content on: Optics, Forces, Waves, Energy, Magnetism, Electricity, and Simple Machines. 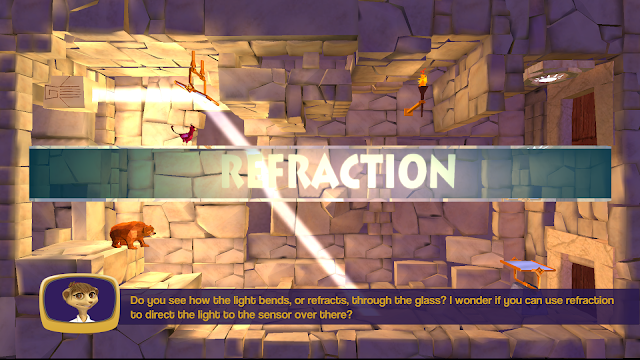 -In Optics, players search for instructions to help Martha build a microscope. As players make their way through the ancient Temple of Light, they use lenses and mirrors to explore the principles and properties of light. -In Forces, players deliver blocks of ice to a community of penguins needing to build homes. As players move through the game, they discover how the physical phenomena of forces helps or hinders their ability to deliver ice to the penguins. -In Waves, players work together to alert Martha’s animal friends of a huge storm heading their way. Using Martha’s wave-generating device, players learn how to create transverse and longitudinal waves that relay warning signals by air and water. -In Energy, players help Martha deliver medicine to her friend, Mole, who is home sick in bed. As players deliver Mole’s medicine, they encounter various kinds of energy—kinetic, potential, or chemical, along the way. -In Magnetism, players explore an ancient temple to bring power to a nearby village of animals. Players solve puzzles using the nature of magnets and magnetic force fields to locate parts needed to repair a power generator. -In Electricity, a recent storm has damaged a power station, leaving many in the community without power. Players help Martha repair the station and restore power. -In Simple Machines 1, players work together to help Martha’s crab friends collect and store coconuts for food and supplies. 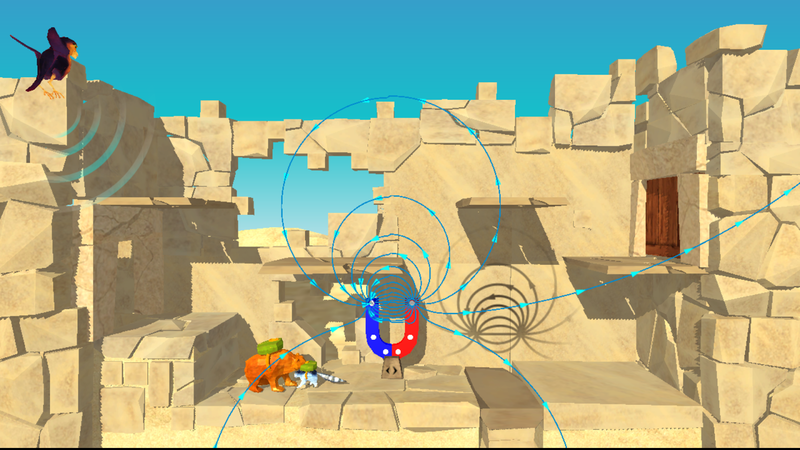 Players use the inclined plane, wedge, and screw to their mechanical advantage and overcome obstacles. 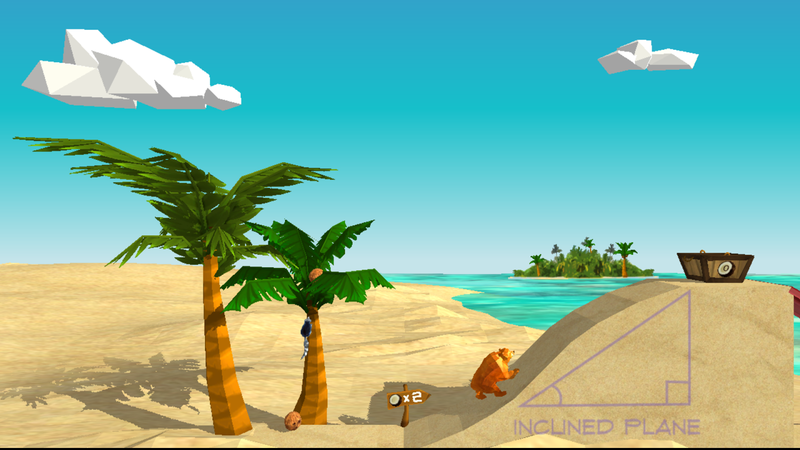 -In Simple Machines 2, players work together to help Martha’s crab friends collect and store coconuts for food and supplies. Players use the incline lever, pulley, and wheel-and-axle to their mechanical advantage and overcome obstacles. 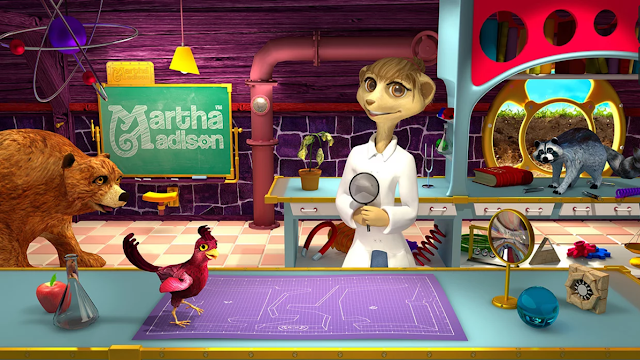 Students are introduced to key science concepts through an engaging narrative, which is presented by Martha Madison, the scientist meerkat who serves as a mentor and guide throughout the game. Students select their animal avatars and then use the unique abilities of their avatars to help Martha Madison solve authentic science problems. All in-game challenges are directly tied to specific learning objectives and standards. A sandbox-style maker space allows students to create their own game levels and challenges, encouraging open-ended play and creation while providing teachers with revolutionary assessment options. The current curriculum includes the digital games, a robust data dashboard with multiple interfaces, in-game and paper-based assessments, as well as a full instructional resources package. Designed for PC – Web Platform (Windows 7 or Higher), Martha Madison is intended for middle school students, in particular grades 6-8. However, the content may be applicable for older students who have not yet had access to the physical science content that is explored. Martha Madison games are bundled with a comprehensive package of instructional resources. Middle school students and teachers use the game to introduce and expand on the science curriculum they are already using, challenging students to explore complex concepts and try new solutions within the exciting narrative of Martha Madison and her community. Each game is structured to fit within a single class period, and may be completed in approximately 25 minutes, with time left over for in-class discussion, instruction, and exploration. Every game provides multiple opportunities for replay, as many in-game problems can be completed with more than one solution. The resource packages include standards correlations, unit plans, lesson plans, challenge activities, student worksheets, guided notes, and pre/post assessments. Founded by educators and gamers, Second Avenue Learning is a certified women-owned interactive media company in Rochester, NY that provides custom software development for interactive modules and “Serious Games” for education, managed services for learning management systems, training services and content authoring, in addition to proprietary products. Its team takes a synergistic approach to all work, and includes subject matter experts, programmers, artists, learning designers, quality analysts and project managers.